1. Consider your desires and what kind of franchises might match them. The very first step of franchise ownership is to look inward to define what you want from business ownership and what type of franchise reflects those desires. Before you start looking at any opportunities, evaluate your own strengths and what you want to learn, and how that shapes you as a prospective business owner. Write down what is and isn’t negotiable to you and stay within those boundaries. If you enjoy selling but hate managing a large team of people, note it down. If you and your family want to stay put in your area, note it down and make it a firm guideline. In short, be deliberate about what your priorities are and stick to them. Without this, it can be next to impossible to confidently make a decision that you know will fit your goals for business ownership and your lifestyle in general. Once you’ve established some clear guidelines for yourself, think about how these factors map onto a potential franchise and make a list of potential franchise systems that could be a fit. This is the very first step of what should be an involved research process. There are a lot of franchise opportunities, but as any business coach or existing franchise owner will tell you, only a few are likely really right for you. See what territories are available for a given opportunity to make sure you can operate where you want to. Determine if the franchise has a track record of success by obtaining financial information about the company and reaching out to existing franchise owners. Ask about average revenue, profit margins, cost of goods, working capital requirements, return on investment, etc. Note: Most franchisors make this information available on their website or in conversation. If it’s harder to find, you may need to look outside the franchise system. Here are two ideas: First, if it’s a public company, you may find financial information in SEC filings. Second, review any company press releases or stories written about it. Determine if the franchise fits with the guidelines you laid out in step one and conversely if you fit their criteria for a successful owner. 3. Narrow your list and make contact with key individuals. You’ll know you’ve spent enough time on step two when you can comfortably whittle your long list of potential franchises into a short one –– with no more than three to five candidates. The next step is making contact with important people at each of them in order to see which opportunity emerges as a clear winner. Reach out via their websites or by phone to express interest and prompt subsequent conversations. You’ll likely need to set up several calls with each franchisor focusing on different aspects of the business such as operations, marketing, supplier management, etc. You’ll also run through the Franchise Disclosure Document or FDD. If you’re new to FDDs, read our introductory guide here and learn the five most important parts of an FDD here. In addition to these calls, helpful franchisors will direct you to contact a few of their franchise owners to answer other questions you might have specifically for them. Franchise owners are your best resources for learning about the business from an owner’s perspective. Use them to address unanswered questions and build a full financial picture of the business as well as what life is like as an owner. → Download our free guide and read a full Q&A with eight of our franchise owners for examples of questions to ask and what to expect in terms of helpful feedback. 4. Head to Discovery Day. The final big step of the decision-making process is meeting with the franchisor staff at an event called Discovery Day or something similar. These are often arranged on a one-by-one basis and let you meet in person with the people who will be training and supporting you with your franchise. Bring any unanswered questions you need to make an informed decision about how to move forward. 5. Make an informed decision. The last step is, of course, the hardest: making a final decision. It’s normal for fear, anxiety, and doubt to creep in when this time comes. It’s a big choice that doesn’t always come easy. After Discovery Day, the franchisor will either extend you an offer or not. If they do, you’ll need to let them know if you wish to accept it. Keep in mind that while this is a hard decision, if you followed the steps above and did your homework, the decision you make should be a smart one. After determining what’s important to you, what options you have in front of you, and you’ve met with everyone you need to meet with and asked the right questions, you should be fully prepared to make your decision. If you decide to move forward, this process will end but another will begin. The run-up to opening your business is a process, too. What it will look like will depend more on which franchise you choose. Here at The Groutsmith, for example, our new franchise owners undergo a two-week hands-on training program at our headquarters. No matter what background or skills they bring, we train them to be professional grout and tile specialist who can bring their skills back home and hit the ground running with their home-based franchise immediately. Learn more about our franchise opportunity here. 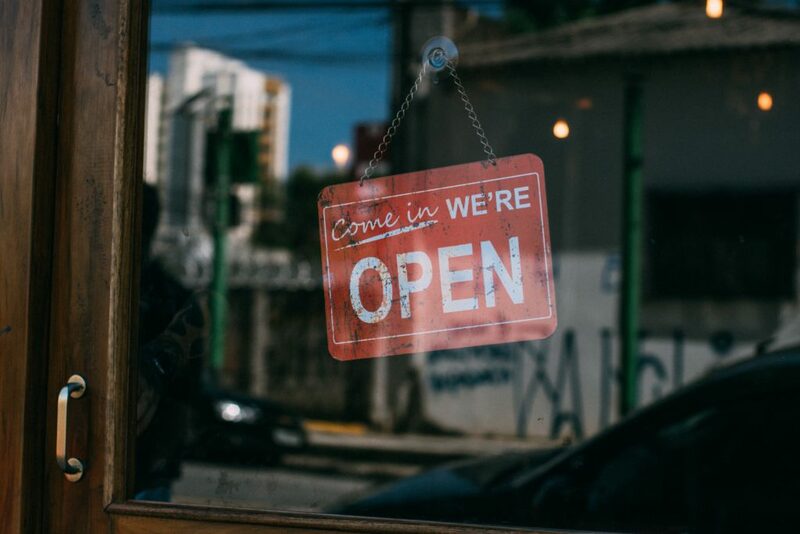 Regardless of what process your franchisor lays out for you, opening your franchise will be exciting and probably a little scary. You will learn a lot in a relatively short timeframe. But if your franchisor is effective, you’ll have help at each step along the way and a phone number to call whenever you need a hand. Be patient. You’ll likely feel like progress is slow as you get started. Don’t rush things and stick to the process that’s worked for other franchise owners. Remember, you’ll have help along the way. Stay positive. Opening any business isn’t always smooth sailing. Some days will be harder than others. Have a friend or family member to lean on for support and always keep other franchise owners in your address book. Unlike starting a business from scratch, having others who have been through the process can be incredibly helpful. Should You Create a Budget Before Opening a Franchise? Want to learn more about becoming a franchise owner with a low-cost opportunity anyone can succeed with? Learn more about The Groutsmith, read a real-life success story from a Groutsmith franchise owner projecting $1 million in sales this year, and contact us to get more information and start the conversation. 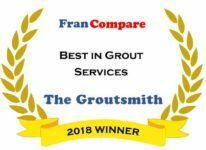 Looking to learn what it’s like to own a Groutsmith franchise? Get a first-hand look from eight franchisees in our free Q&A guide. Click below to download.